For most of human history, a majority of materials used in everyday life were made of perishable fibers – wood, bark, plants, leather, fur and even feathers. Some of the earliest evidence of fiber technologies like looping and netting actually comes from clay fragments found in Upper Paleolithic sites in eastern Europe. These fragments show impressions of cordage bearing a kind of knots still commonly used for making nets. Those netting impressions give us physical evidence that dates back 28,000 years. The sophistication of the fiber impressions suggests people had been making nets for some time. For perhaps 40,000 years, people have used looped fibers to create nets, bags, clothing and more. There are now faster ways to make things, but none quite like this timeless technique. Looping stitches may be dense and inelastic or quite elastic and open, with a deceptively delicate appearance. But whether it’s a fishing net or a piece of fine lace, you can cut a thread and looping won’t unravel. It’s an incredibly strong structure with infinite design possibilities. There’s a collaborative bibliography building on the New Age Looping Study Group on Facebook, but here are a few titles to get you started. Down East Netting: A History and How-To of Netmaking by Barbara M. Morton. Answered sooo many questions for me. Needle Lace; Techniques & Inspirations by Jill Nordfors Clark. While this mostly uses looping as a surface embellishment in two-dimensional work, it shows many stitch variations and was a great source of inspiration to me. 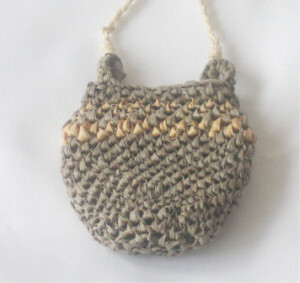 Aboriginal String Bags by Alan J. West. Get this for a fascinating look into living tradition. Whadoo Tehmi: Long-Ago People’s Packsack; Dene Babiche Bags: Tradition and Revival by Suzan Marie & Judy Thompson. Reviving a tradition. Armenian Needlelace and Embroidery by Alice Odian Kasparian. Fascinating history. Read her story. In Celebration of the Curious Mind by Nora Rogers & Martha Stanley, editors. The Turkish counterpart to the story. African Fabric Crafts: Sources of African Design & Technique by Esther Warner Dendel. Don’t miss the African dance shirt story. The Maker’s Hand: A Close Look at Textile Structures by Peter Collingwood. One of my favorite sources of inspiration. Primitive Scandinavian Textiles in Knotless Netting by Odd Nordland. Jump into the way-back machine. Earth Basketry by Osma Gallinger Tod. Cycloid weaving. The Techniques of Basketry by Virginia Harvey. The Crochet Workbook by Sylvia Cosh & James Walters and Freeform Crochet and beyond by Renate Kirkpatrick. 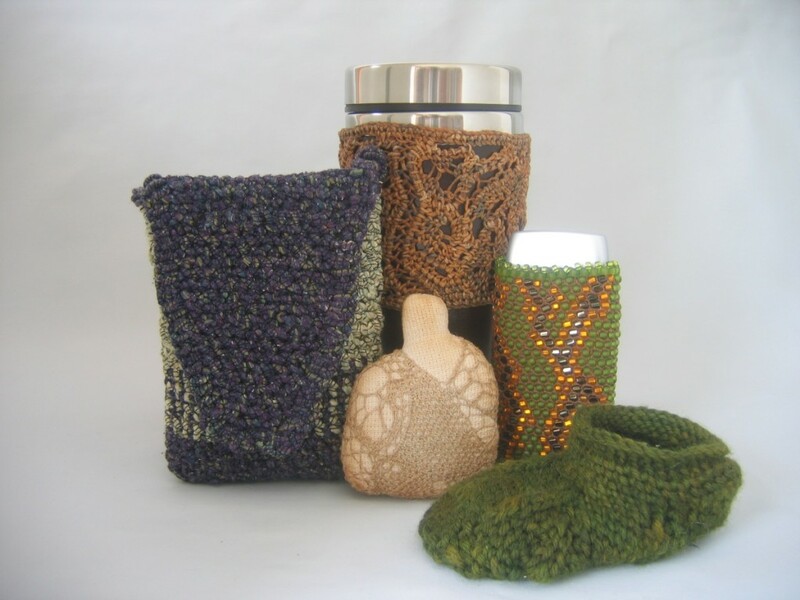 While these are crochet books, they will inspire anyone with an interest in freeform looping.